Short Information : Madhya Pradesh Employment Exchange Office MP Rojgar Department, Are Recently Invited to the Online Registration (Panjiyan) for the New Employment and Renew Online. Those Candidates are Interested to the Following Application Form and Complete the All Eligibility Criteria Can Read the Full Notification and Apply Online. Jobs Fair will Time to Time. No Application Fee for the MP Rojgar Panjiyan (Registration) All Unemployment Candidates Can Registered Online. Valid Mobile Number: Candidates Must Have a Valid Mobile Number. Valid Email ID: All Candidates Must be a Valid Email ID for the Rojgar Panjeeyan. Domicile Certificate: Only MP Domicile General/ OBC/SC/ST Candidates are Registered. Registered for new Rojgar Panjiyan / Employment Registration Online. Renewal for Old Registration / Rojgar Panjiyan . Find Your Rojgar Panjiyan Registration Number. Find User ID and Password in Employment Exchange Portal. Check the Latest Jobs Fair Through the Login in Portal. 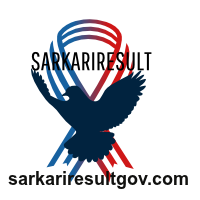 Download Admit Card and Check Rojgar Result in MP Rojgar Panjiyan. All Other Various Services Available in MP Rojgar Panjiyan Website.